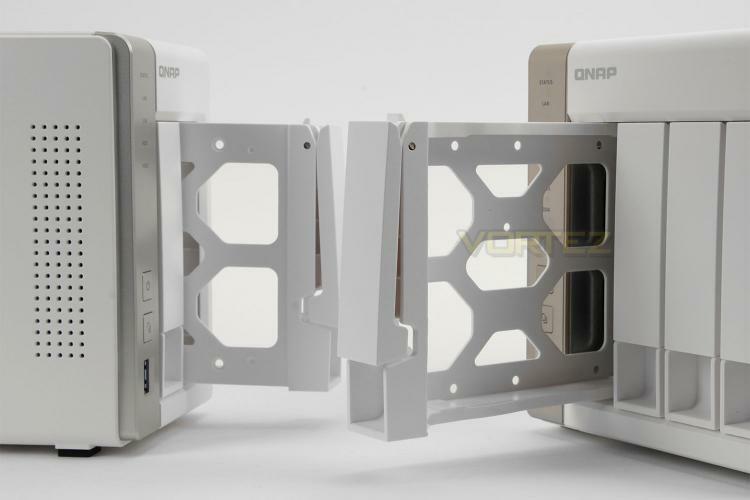 QNAP’s 231 and 451 both adopt similar styling; matt white panels surround each unit, providing a professional and classy external design. The aesthetics should fit in with most home offices, though white can sometimes stand out since most appliances tend to be black. We really like the clean look that both units bring and after handling either NAS we can confirm that these units use good quality materials. Note: the stickers on the side and top are easy to remove and do not leave any trace behind – no tearing occurs etc. The 231 is a two-bay solution while the 451 offers four-bays – the name is obviously an indicator for this. The similarities continue at the front of each model with a silver strip running down the left-side. Oddly, the 451 has a slight bronze tone to it and there are some additional LEDs to view. Immediately next to these strips are the detachable HDD trays. Around the back a steel panel features more ports and the openings for the pre-installed cooling fans. As we’ve seen already on the external design of both the 231 and 451, the reverse utilises high-quality materials and everything is organised in a tidy manner. The rear of both units reveals quite a selection of functionality most of which will be rather useful to even the average user. Having USB ports at the front and rear of the QNAP devices means that data can be shared more easily. The 231 and 451 both use a traditional method for installing HDDs. The front features a series of removable trays which makes storage hot-swappable. As already mentioned, the 251 has two trays for two drives and the 451 has four trays for four drives. 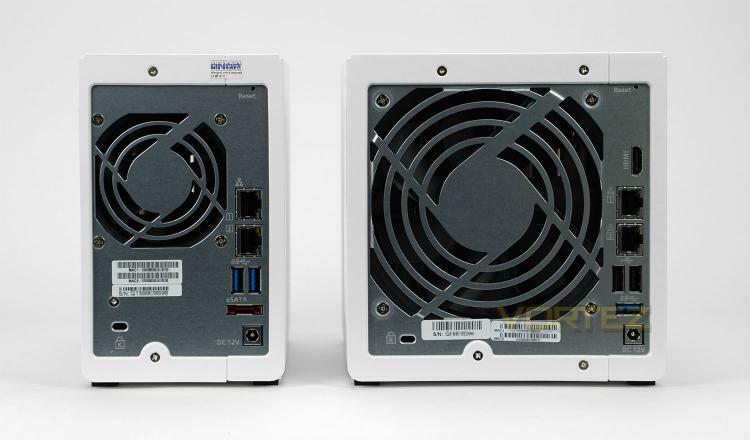 The 231 supports up to 2x 8TB drives and the 451 also supports the same storage specification. 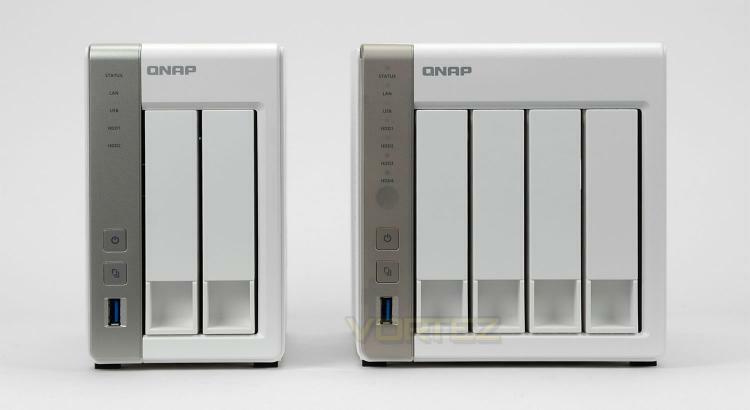 6GB/s drives are also fully supported which is great – The QNAP compatibility page lists all of the compatible storage drives for reference. 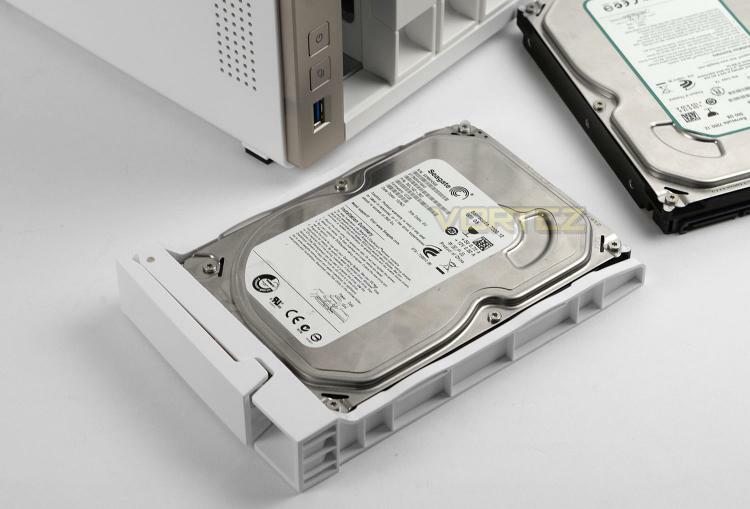 3.5” or 2.5” drives can be installed into the supplied trays – the drive is simply placed into the tray with the connection ports facing the rear and then the provided mounting screws are applied to the underside to fix the drive to the tray. Once the drive is fixed, the tray simply slides back into the NAS and the connection ports marry up to the SATA ports within the unit. 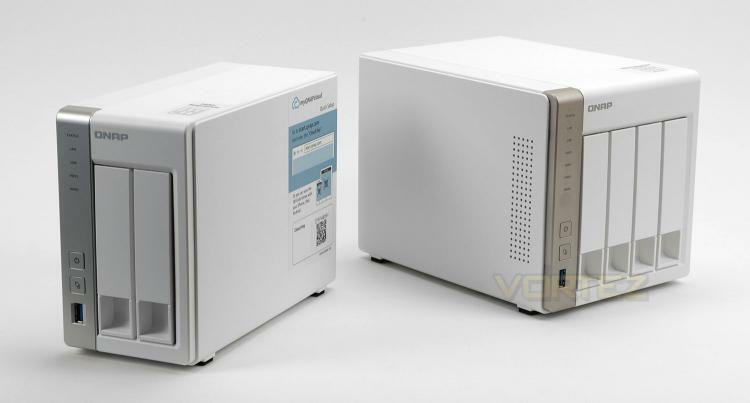 For NAS of this calibre we’re getting solid, capable hardware which will certainly aid multi-tasking – some rival offerings lack the speed offered by the Celeron CPU and the capacity from the DDR3 so this is very pleasing to see. Having the option to use multiple HDDs inside each NAS paves the way for RAID configurations which almost every user would be encourage to arrange. Server-related data demands backup strategies in the event of hardware failure and thus data loss.